Not sure why Guy Pierce felt this film would be a good idea, I do feel that if they made some changes and increased the budget it could have been a much better film. However this film did do very well and feels like a budget B movie with Guy Pierce. It’s not a bad action film but it is easily forgettable. If you want to watch a film with no brains, some decent action scenes and good humour from its lead Guy Pierce. 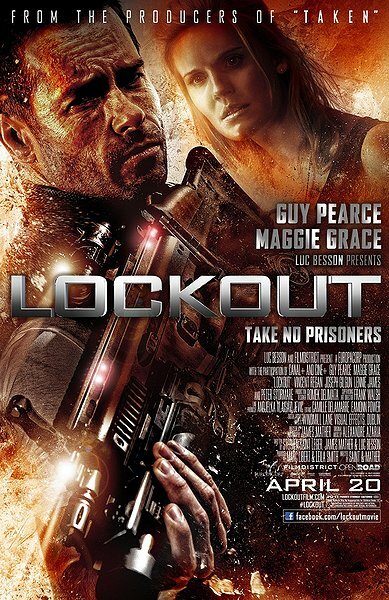 Starring Guy Pearce and Maggie Grace and set in the near future, Lockout follows a falsely convicted ex-government agent (Pearce), whose one chance at obtaining freedom lies in the dangerous mission of rescuing the President’s daughter (Grace) from rioting convicts at an outer space maximum-security prison. Lockout was directed by Stephen St. Leger and James Mather from their script co-written with Luc Besson, who is also a producer. Peter Stormare co-stars. The advice I would give to readers is, it’s not bad but I wouldn’t necessarily buy it but if you have Netflix or Love Film, well any of those pay monthly things then yeah check it out. Tim’s Film Reviews: Don’t pay but try to watch if you can. To start off let’s talk about the acting. The acting ranged from average to I really don’t care (I’ll be saying that a lot in this trailer). The main characters where at times very funny but mainly just the odd joke from Guy Pierce. The rest of the cast do as expected of this type of cheap film, everybody except the main characters were basically glorified extras. In terms of humour the best parts where within the trailer, that always gets my blood boiling and my left arm tingling…oh I feel faint. Now then the special effects were a bit weird ranging from terrible bike scenes at the beginning to some space prison shots that actually looked pretty good considering the budget. If there is anything that would win me over in a Sci-Fi film then it would be a great space battle. Sadly this film’s battle in space is weak and I can’t be blamed on the budget as ‘Iron Sky’ had a lower budget but had a better space battle and a lot of TV shows have great battles set in space. The films only redeeming factor is that it does have a very interesting premise with a whole prison in space, but failed to create a great movie which could certainly be done if somebody else had the right vision for the film. The best review I found would be either “It’s just not quite as much fun as it should be, despite Pearce’s best efforts and some good chemistry with Grace. “Helen OHara. This review works well for me mainly because it’s what I think too with piece trying his hardest but nobody can bring a bad movie of the fire of failure. Or “They don’t make ’em like this anymore, except when they do and you remember why they stopped. Daft, but broadly enjoyable if you’re in a charitable mood.” Film4. My favourite scene would be the part were Snow tries to make Emilie look like a man but to me all he does is cut her hair, dye it and punch her in the face Which is just so funny because it’s ridiculously stupid. I just had to comment on this as like you, with a decent budget this could have been a fairly decent film I reckon. The ideas were there, memorable characters too, but it was just oh so very poorly executed. Every time I think of it, I just remember how horrible the motorbike chase was – I can’t help but question what they were thinking with that! 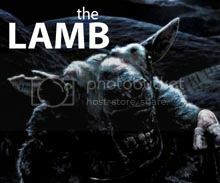 I did like the idea but it definitely needed a better screenwriter and budget. I have read reviews about “Lockout” that appear to question Pearce’s motive in taking on a non-traditional character, however bizarre roles seems to be Guy Pearce’s specialty. He’s brilliant when he plays parts that take special preparation from a focused actor. Regardless of critical media, if Pearce is starring, I’m going to be in the audience watching; his roles have always been awesome! I have been reading mixed reviews since my co-worker from Dish recommended I make a point to see “Lockout”. Honestly, I think Pierce has been away for far too long; I’ve heard he will be appearing in upcoming movies, which makes me really happy. My travel schedule won’t allow me to get to the theater very often, plus being away from my family is hard, especially when I’m in a strange hotel in a new city. I often have a movie night using Dish Online, which for a dedicated film nut is awesome. Having the ability to watch a fun film wherever I’m staying, starring the likes of Guy Pierce, is always welcome. The trailer makes this look like an “Escape From New York”-style, fun B-movie, with Guy Pearce doing his best impersonation of Bruce Willis in “The Last Boy Scout”. On that basis alone, this would appear to be worthy of a rental. I feel very confident this movie will climb up on my “guilty pleasure” o’ meter. I enjoyed it and admired it’s tone and tongue in cheek style. it’s dumb, loud and stupid but not in a Micheal Bay sort of way. I saw this! I think…parts of it maybe…I definitely remember this plot. I think I might have seen it. 😉 Lol, all I remember is them on the ship going around being scared looking. I’ve seen this one on the shelves at Blockbuster but never picked it up. I may put it in my que. Really nothing all that special, except for an awesome Pearce performance and fun action, but that was about it. Overall, pretty forgettable flick that’s fun for the time it’s being watched, but it’s out of your mind as soon as it’s out of your sight. Nice review Tim. I have been trying to finish this thing for almost three days so I could write something about it. WTH Pearce? Where’s the guy who did The Proposition? I feel the exact same way as you except maybe a little less positive. (But I haven’t finished it yet). Haven’t seen it, but I was wondering if a harder version of it would work. I know it came out PG-13. I guess its harder to overcome a mediocre story, no matter how violent it gets. It was just a bit lazy really, nothing special.